Dj Masala (our first Japanese Suntripper!) is known from gigs allover the world and specialised in melodic and highly emotional old and modern goa-trance! 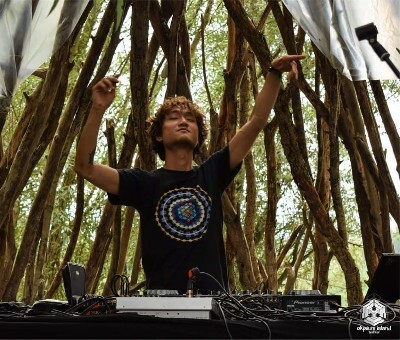 Dj Masala(Takaaki Midorikawa) is a goa trance adventurer! Being a dj and promoter based in Japan, but often travelling, and living in Europe as well! Travelling around the world influenced his music for sure, and even before he knew goa-trance he was already influenced by the music of India, Sri Lanka and Nepal! Masala passed through the gates of Goa trance in 2011, and he already became a dj in 2012! He is specialised in new and oldschool melodic morning Goa trance that feels cosmic and emotional! His sets have storytelling based on getting his audience´s spirits in a state of trance. In 2015 he started playing his DJ sets worldwide! This resulted in his first international gigs (2015-2018) in Belgium and Spain, not much later he dj-ed in the Balkan area and Mexico on parties like Balkan Goa Fanatics, Mystic Mountain (Croatia), Exit Festival, Elysium Island Festival, Ages Of Love(Serbia), Apsara Festival (Romania), some parties in Hungary and Macedonia, Origen Festival (Mexico) and ne:magari in Osaka, Japan. During the 2018 summer, he played his DJ mixes at 16 parties and festivals around Europe and Mexico. Where will you catch him in 2019?